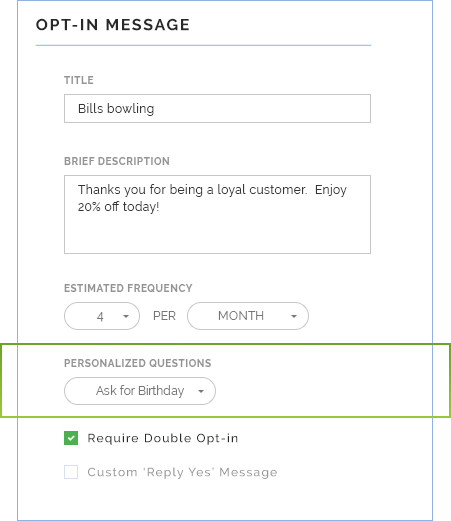 Through our birthday wishes feature, business owners will be able to show appreciation to their customers on their individual birthdays. Build a personal relationship with your customers. Offer rewards that will keep your customers engaged. When a business owner includes date of birth in the list of options for a customer to choose from, our system will be able to check daily for upcoming birthdays. Business owners will be able to personalize their message to their customers as they please. This will build a stronger business relationship in the long run. 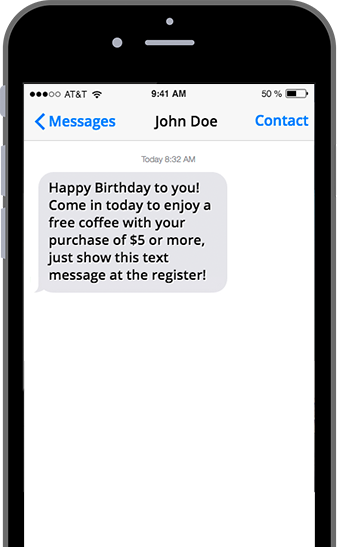 Business owners will be able to send birthday messages to individual customers with an included coupon of their choice almost effortlessly.